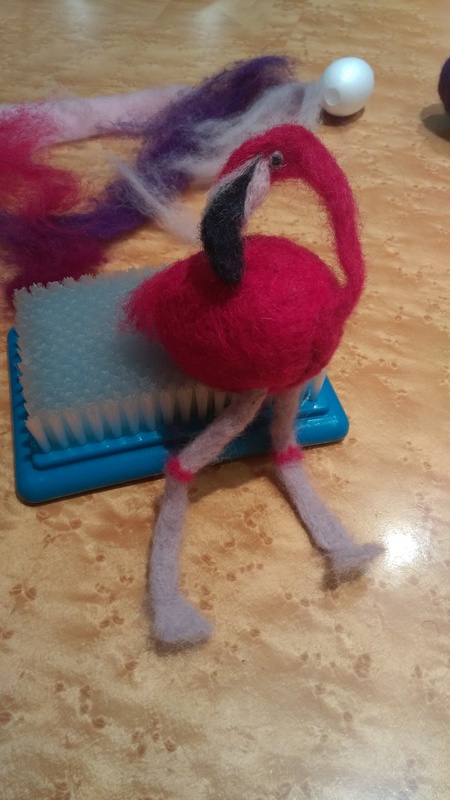 The Crafty Lass does… Needle Felting workshops! 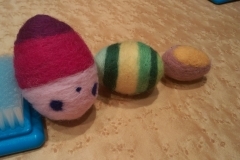 A very happy and crafty Easter to you! 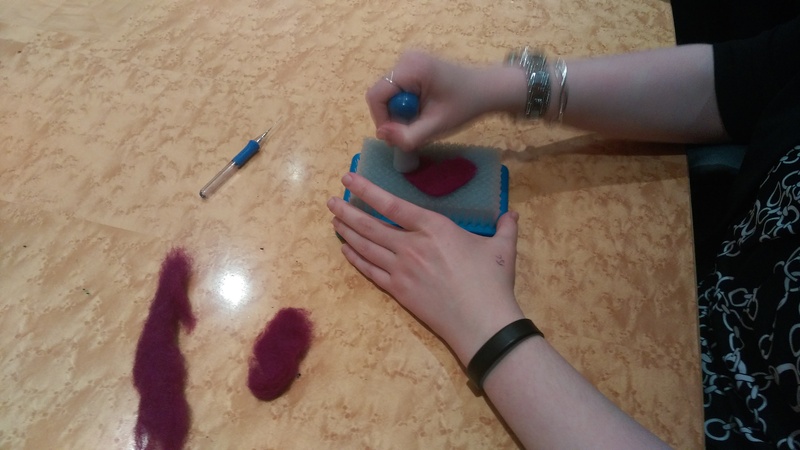 The last couple of weeks have been full of Easter crafts for The Crafty Lass – especially at the John Lewis and Waitrose head offices with their Craft Club – where I spent a couple of evenings running Introduction to Needle Felting workshops – making some decorative Easter eggs! 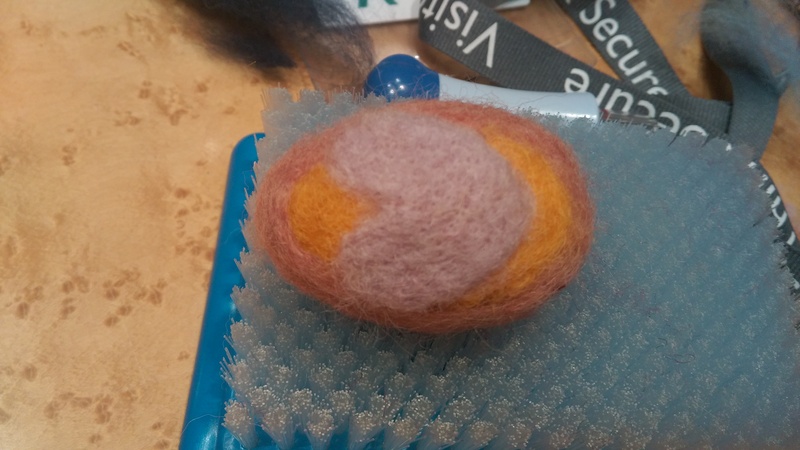 A very therapeutic and pretty-simple-when-you-know-how craft – slowly building up layers of 100% wool fleece in a whole myriad of colours, needle felting onto polystyrene egg shapes. 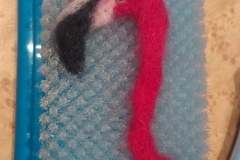 We had marbling effects, little flowers, hearts, initials, spots, stripes – we even had a flamingo!! 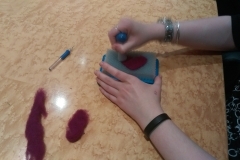 Put simply – just some great evenings of fun, laughter and crafting! I was hoping for lots of lovely photos to go alongside this blog post (and I do have some!) – but through the wonders of technology (or lack of it, and failing miserably, and user error) – I managed to delete ALL the photos of the Waitrose workshop …That also meant spending approximately an hour of my supposedly lazy Easter Sunday morning trying to fathom how to restore them – and failing. I’ve had to give it up as a bad job, and accept that they are gone. 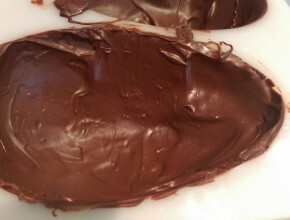 Silver lining – it is a darn good excuse to just eat more chocolate…. not that you need it on Easter Sunday! “I have had a horrible day today… but now I am fine”! 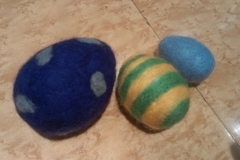 A successful set of Easter workshops complete for this Crafty Lass. 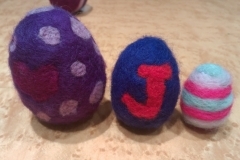 What Easter crafts have you been getting up to? The Crafty Lass does… Spring Wreaths! They’re not just for Christmas you know…! 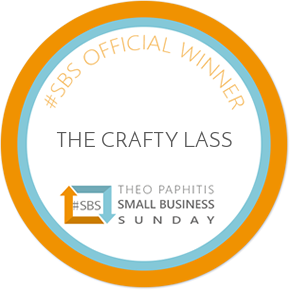 “Step into Spring with the Crafty Lass! Join Paula, as she shows us how to make these beautiful wreaths. This Thursday 14th January, you can tune in at midday on Sky 679 or watch online at www.thecraftchannel.tv to see ‘The Crafty Lass Spring Wreaths’ show – lots of flowers, butterflies, beautiful pastel papers, ribbons… something to brighten this dreary January! 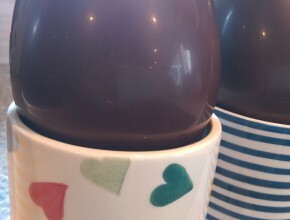 The Crafty Lass does… Chocolate Easter Eggs! So, the husband has gone out this Easter Sunday – the whole day – so, I have the house to myself – to do whatever I want. I could have spent a few lovely leisurely hours catching up on all my overdue to be watched Masterchef (I haven’t seen the last SIX episodes!) or, I could have gone out and spent some time in the rare sunshine. 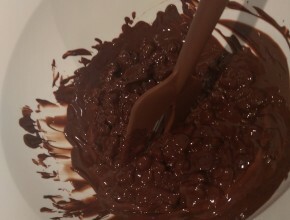 No – instead, I stayed in and made a mess, I made a huge chocolatey, fun, mess. 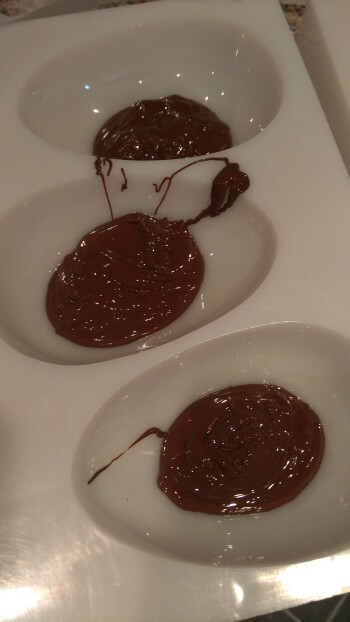 I did make some chocolate Easter eggs in the process…but mainly a mess. 😉 The finished eggs aren’t perfect and, it would of course have been ALOT easier to go into my local supermarket and just BUY eggs. But, where would the fun be in that? Chocolate, especially making moulded chocolate has always frightened me. Haha – not literally – but, ‘What if it’s too hot?’ ‘What if it’s too cold?’ ‘What if water gets into it?’ (Chocolate and water DO NOT mix!) ‘What if it just won’t come out of the mould?’ So many concerns! And, as it turned out, it was fine! Chocolate, needs to be at the right ‘temper’ (don’t we all!) to ensure a lovely glossy sheen, a perfect ‘snap’ when you break into it, and to stop the chocolate ‘blooming’ (when fat and/or sugar can rise to the surface – which is still safe to eat, but just makes it look unsightly.) Ideally, I would have a fantastic ‘tempering machine’ at my disposal (quite a bit of cost in that!) Second to that, I would try and use a microwave to slowly melt the chocolate to the right temperatures/consistency…however our’s recently broke, and is yet to be replaced. So, I used the the ‘Bain-Marie’ method. 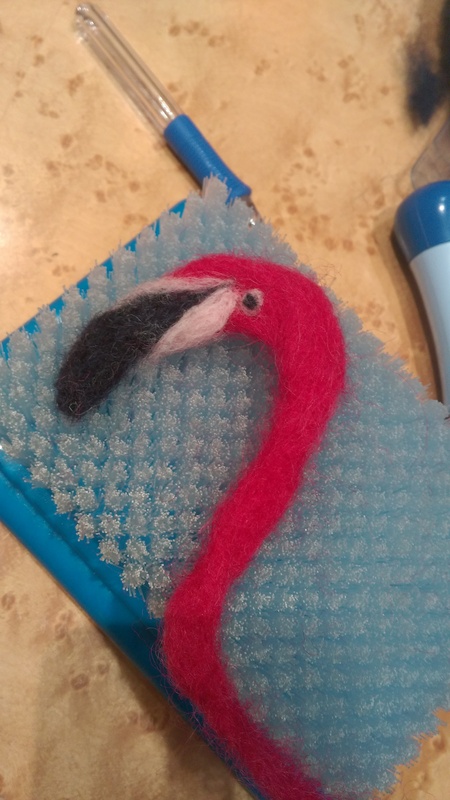 This ‘Instructables’ tempering guide clearly shows the step-by-step process, and the temperatures required. And, as long as you stick to these – it really is that easy. Top Tip 1! Bowls. I actually used plastic (instead of glass or metal) – to try and ensure the actual bowl didn’t ‘keep’the the temperature up too hot once off the heat, so it would cool down much quicker. Top Tip 2! Lakeland have a great device that I used – a ‘Thermospatula‘ – a silicone spatula and thermometer combined – perfect! 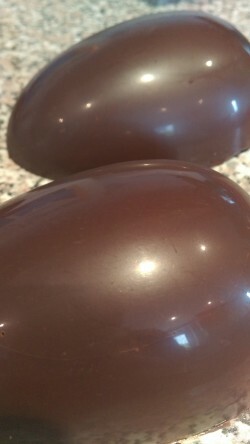 Once the chocolate was tempered, I poured the chocolate into the egg moulds and swirled/twisted them around to ensure all areas were coated. I then repeated this process to ensure the eggs would be thick enough – too thin and they could easily crack when coming out! Once all coated, it was into the fridge for five minutes. 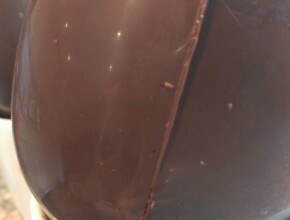 The chocolate doesn’t take long to set – and if tempered correctly, as the chocolate re-forms into a solid mass, it will slightly shrink away from the mould, allowing it to easily come out. Luckily for me, this did actually happen – a slight ‘tap’, and out they came, and as hoped – with a lovely shiny finish. If they don’t come out that easily – a quick blast in the freezer can sometimes help! Top Tip 3! 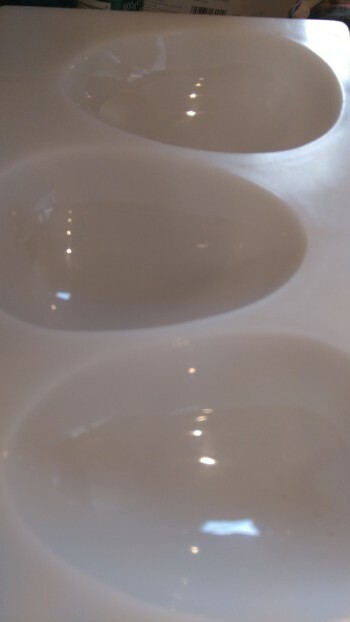 Once each of the ‘half eggs’ are out of the moulds – I used a heated tray straight from the oven… gently resting the egg halves on here, to slightly re-melt the edges before putting together. Et voila, one whole egg! 2. 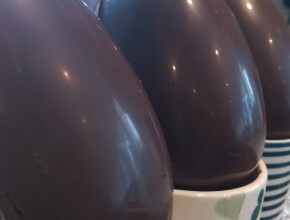 You need to work quickly with chocolate – I poured the tempered chocolate into the moulds, and didn’t swirl it around into the egg shape quickly enough – so the chocolate started to set – and allowed for a few air holes in the eggs. A way to combat this? 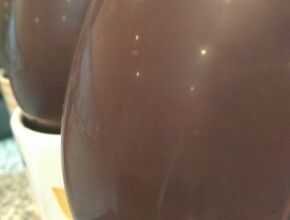 I should have banged the mould gently on the work surface to bring these air bubbles to the top – and out of the chocolate – before setting, but I didn’t, so there are a few little air pockets here and there. 3. Quantities? 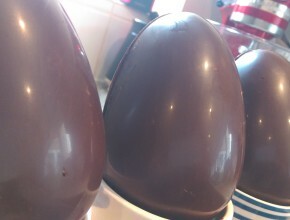 You need to work out just how much chocolate is required for your specific egg mould. I melted FAR too much. It’s ok – it will just have to be eaten 😉 – but next time – I will melt less (I melted 400g for these three eggs, added in around 150g in the tempering process – and probably only used around two thirds.) Anyone out there with some ‘top tips’ for measuring what is required? 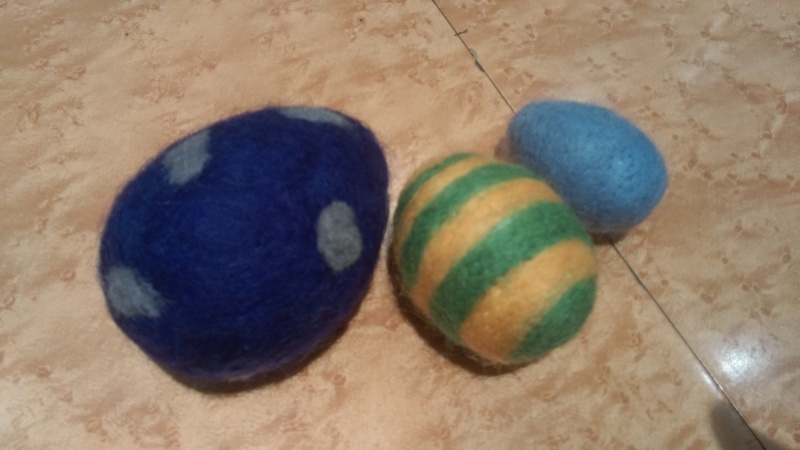 Next year’s attempt will be to try patterned eggs! Dark, milk and white, filled with sweeties, little gifts – the ideas are endless. Now, all that there is left to do… is eat! Happy Easter everyone! With three more days left of this Easter weekend ahead of us, there is no excuse not to get crafty! The weather may be grey, but why not release your inner creative streak with a few of these egg-citing (sorry!) 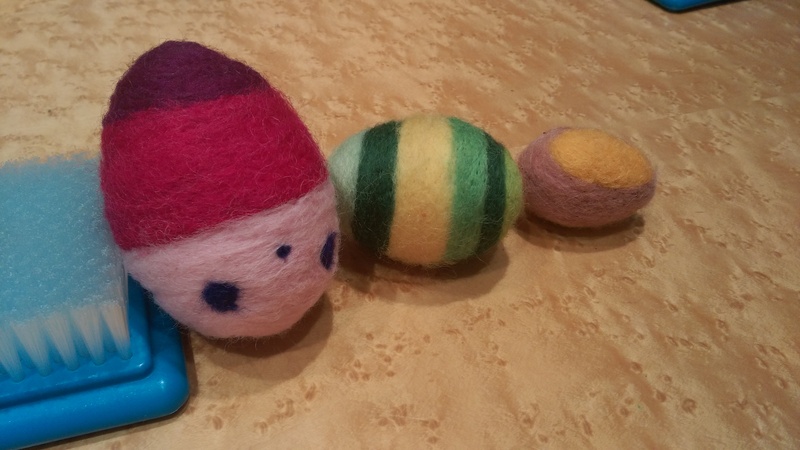 Easter crafts to brighten up your day! Now these, are pretty epic. Just how cool would it be to literally draw in a rainbow pallette with these bright and cute homemade bunny crayons from Moonfrye. You are bound to see Easter themed silicone moulds – eggs, bunnies, chicks – in any supermarket this weekend, or in your local Lakeland store – and I bet, if you have kids – you’ll have a spare few hundred crayons to make this cheap, and simple – but oh so exciting creation. In fact, even if you don’t have kids – go out and buy some crayons just to do this! Planning to give out some sweeties this weekend? Why not get creative with how you present them with these Bunny Ear Treat Bags from Oh Happy Day. 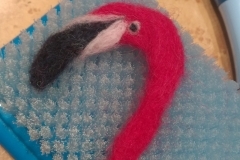 It’s a quick and easy craft that looks so effective! This beautiful wreath will take abit more preparation – unless you happen to have some fluffy green wool, a wreath base, and some lace daisies already hanging about your house – but all should be available in your local craft shop or Hobbycraft. 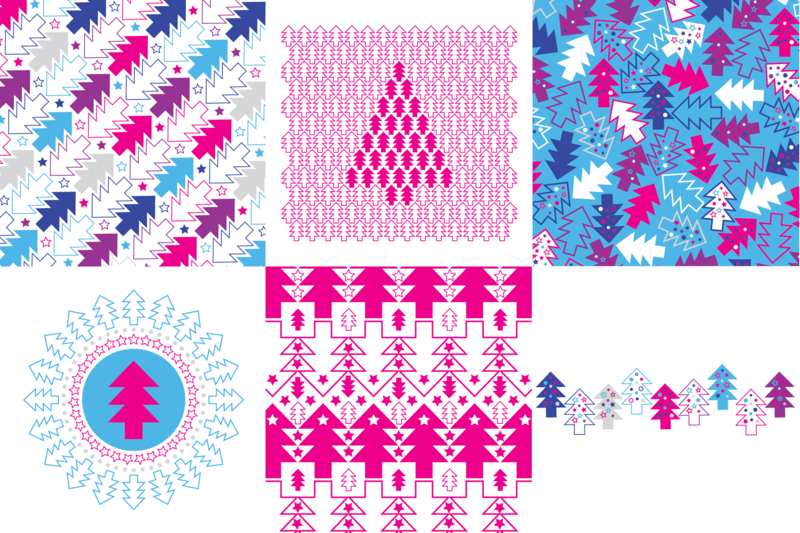 It’s such a simple concept – but the final results look beautiful! This could even be used as a table centrepiece for tomorrow’s Easter lunch! Fill will chocolate eggs for extra happy Easter guests! 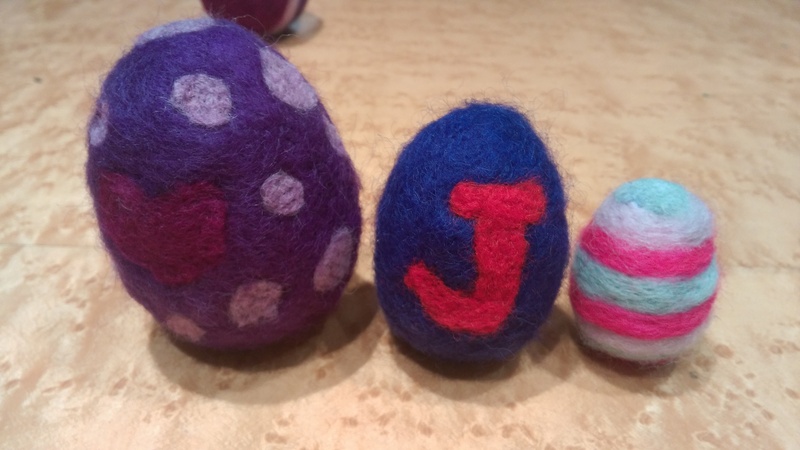 Top 5… Traditional Egg Decorations! Did you know, that actually the Easter eggs tradition didn’t start with chocolate…? Behind the rows and rows of commercialised packaging, brands and more sugary treats than you can shake a chocolate stick at – are symbols of fertility, rebirth and new life. The tradition of giving and receiving eggs goes back hundreds of years and good old UK chocolate brand Cadbury explains all with ‘The Story of Easter and Easter Eggs’ HERE. I love chocolate, don’t get me wrong (who doesn’t?) and Easter is a great excuse to have chocolate for breakfast – but I remember as a child always having boiled eggs on Easter Sunday morning, and loved nothing more than getting all my feltip pens out and drawing pretty patterns on the shells afterwards! 1. Love colour? Have some patience and time on your hands? 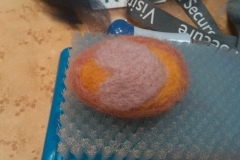 How about creating some ‘Pantone‘ eggs as here on How About Orange? 2. 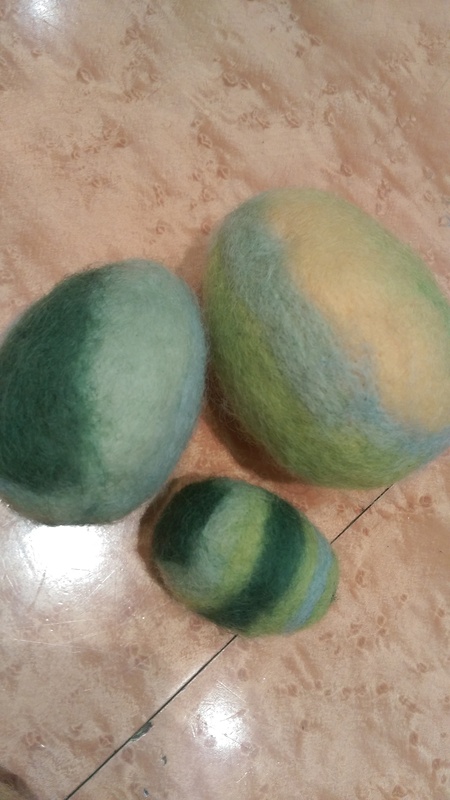 Simple, but effective – are these ‘Oodles of Doodles‘ pastel coloured eggs from Pattern Stitch Blog, that look great! Or, get inspiration from her previous year designs in minimalist black and white! Go wild with edible pens and creating your own wacky doodles! 3. Now when is there a time in life when glitter doesn’t improve everything?! Why not try these Glitter dipped eggs from ‘Frugal Mom Eh!‘. Bright, sparkly and fun! 5. Lastly, but not leastly – these beautiful and intricately designed eggs by The Caroline Johansson add a further touch of inspiration by adding on a little hook – which you could then hang up on a tree! There are hundreds, thousands of ideas out there! 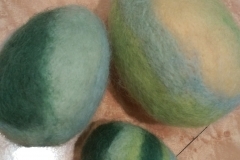 While searching, I came across ‘Minion’ eggs, ‘Super Mario’ eggs, simply dyed, painted, metallic, wax resist… go wild and unleash your imagination! P.S. Ok, I know I said ‘Top 5’ but I couldn’t resist also adding a link to these ‘eggcellent’ (sorry) Disney themed cuties! 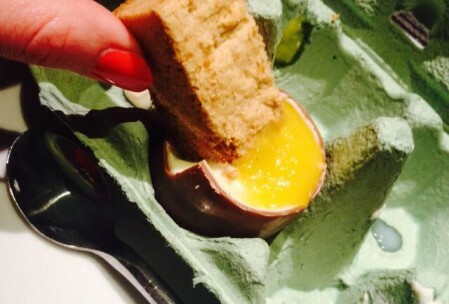 The Crafty Lass does… Easter ‘Egg and Soldiers’! Are you having friends and family over for dinner this Easter? And need an interesting dessert? 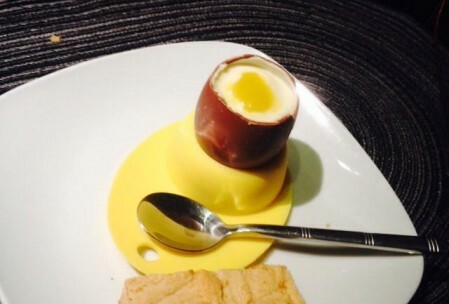 Well, look no further than this scrummy delight of ‘Egg and Soldiers’! 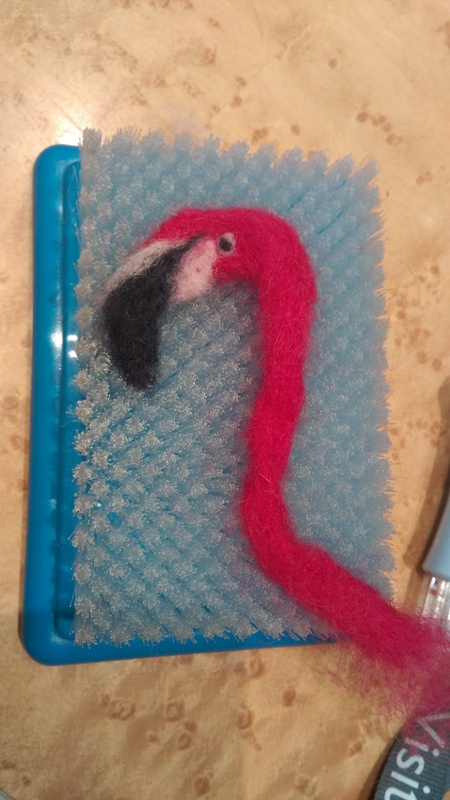 I was inspired originally by Raspberri Cupcakes – where she makes these, and with such beautiful photos and ideas – I couldn’t resist giving it a try for myself! I used ‘Kinder’ eggs as the outer shell – perfect size, and actually, on the day I was hunting for hollow chocolate Easter eggs – after four separate supermarket visits – they were the only ones anywhere had!! This was Easter Saturday and everywhere was sold out! However, they worked just perfectly in the end… Our nephew especially loving it – as he got SIX Kinder surprises! For the ‘egg white’, I used a ‘Nigella community recipe’ – Quick Vanilla Cheesecake – (it really does do what it says on the tin and is quick and simple)…and then, just simply spooned into the eggs. 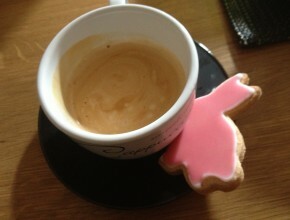 Ideally, I would have piped it in – which of course you could do, if you have the time/a piping bag/nossle to hand! Then – simply pop into the fridge for around an hour or so, or until slightly set. Using an empty egg box to put them in is ideal at this stage – as it ensures the ‘eggs’ stay upright whilst setting! Whilst the cheesecakes were setting, and the mango cooling – I made the amazing shortbread. It is a Jamie Oliver recipe – and the clue is in the name… The Best Shortbread in the World from his book ‘Cooking with Jamie‘. I can’t find an ‘official’ link for it, but here it is on one of Jamie’s forums. It takes a little longer than ‘normal’ shortbread, but it is thick, buttery, crumbly, sugar coated amazing-ness. It makes the kitchen smell truly fantastic!! Once the cheesecake was set, I simply spooned out a small part in the centre (reserve, and eat later! ), poured in the coulis – and ‘et voila’! Then, served up in egg cups and/or boxes – with the ‘soldiers’ on the side. Enjoy! Let me know if you give it a go! 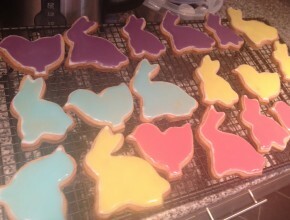 The Crafty Lass does… Easter biscuits! 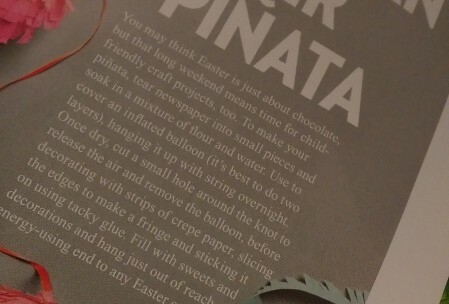 Looking to do something for Easter that is fun, cheap to make, relatively easy, and you get to eat it at the end?! 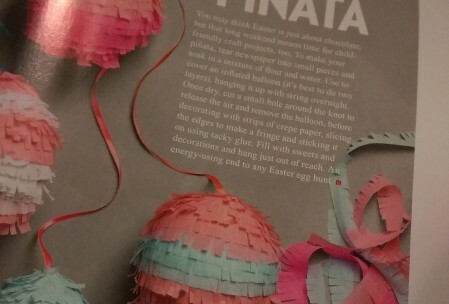 A relaxing evening tonight reading Red magazine, but now all I want to do is make piñatas!